Micromax was once among the top smartphone manufacturers in India, and also, there was a time when the company used to be among the top 10 largest smartphone manufacturers in the world. But, that’s a two-year-old story now, and right now, Micromax is struggling to get the same spot. This year, the company tried to make a comeback to the budget smartphone market by launching the Dual 5 smartphone, but it turned out as a rebranded 360 Q5. But today, the company launched its much-awaited smartphone that is surely going to turn the tables. We are talking about the Micromax Canvas Infinity that launched today, and it is now the cheapest smartphone with a Fullvision display that you can buy right now. If you don’t know, the standard screens on our phones have the aspect ratio of 16:9, but the Fullvision display has an aspect ratio of 18:9. We have already seen the same display on LG G6 and LG Q6. This helps to get a larger screen in a smaller smartphone body. Micromax has done the same thing with its Canvas Infinity smartphone. 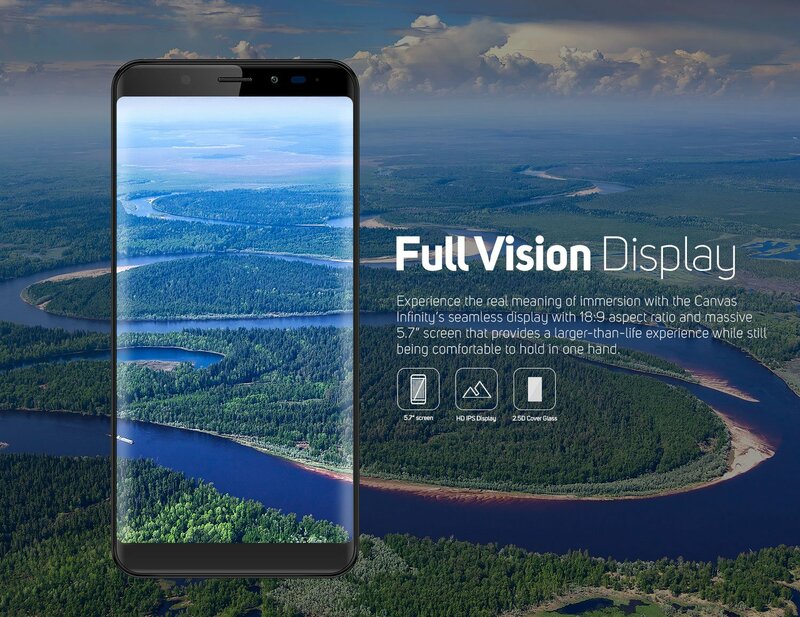 The phone features a big 5.7-inch Fullvision display (18:9 aspect ratio) with a resolution of 1440 x 720 and pixel density of 308ppi. The Micromax Canvas Infinity is powered by a 1.4GHz Quad-Core Snapdragon 425 processor along with 3GB RAM & 32GB internal storage. Talking about the cameras, the phone has a 13MP rear camera with f/2.0 aperture, Auto HDR etc. 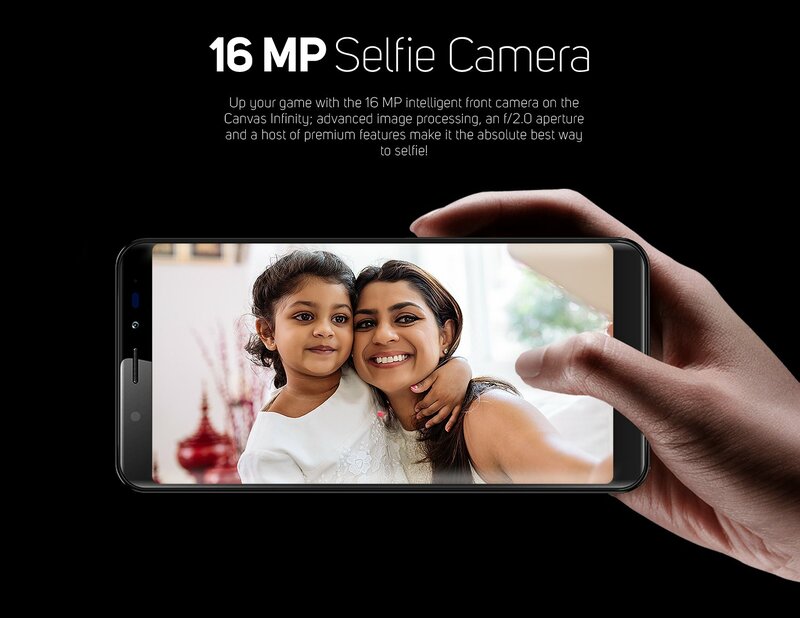 and a 16MP selfie camera with f/2.0 aperture and some features like soft LED flash and real time bokeh effect. Under the hood, a 2,900mAh battery powers the phone and it runs on Android 7.1.2 Nougat right out of the box. Lastly, talking about the pricing and availability, the phone is priced at Rs. 9,999, and it will be available starting September 1 exclusively on Amazon India. What are your views about the Micromax Canvas Infinity? Drop your opinions down below in the comments section.